This is the first in my series of photos of the day on the MapWanderer blog. I’ll try to post as much as I can, but we’ll see how that goes! 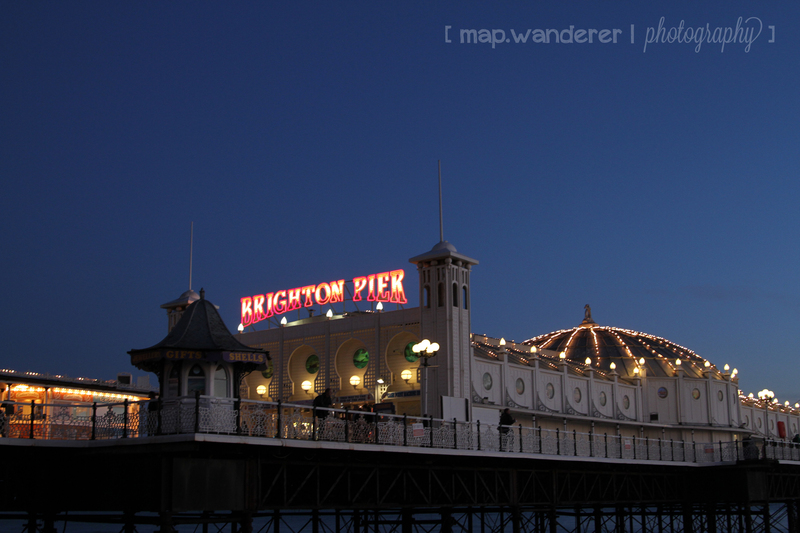 I fell in love with Brighton. Living in this eclectic British seaside town was an adventure in itself. I had the privilege of living in Brighton for a year to get my Master’s degree at the University of Sussex, and luckily, chose to live in off campus university accommodation right in the centre of town. Sure, it was noisy at night with all the party-goers, but I can’t deny that I was often part of them. I mean, when else will I get to wake up every morning to the view of the beach and waves crashing onto the rocks (not sand)? Yes, it’s England and yes, there is rain and wind and not the perfect weather, but that makes you love the sunny days so much more! One day, my friend and I took a walk on the beach and towards the pier and I captured this photo as darkness was descending upon us. The rides on the Brighton Pier are surprisingly very fun!